Over a million govt workers have been deployed to ethnic minorities' homes. These 'relatives' report to the state. They believe the programme is aimed at coercing Uighurs into living secular lives like the Han majority. Anything diverging from the party's prescribed lifestyle can be viewed by authorities as a sign of potential extremism — from suddenly giving up smoking or alcohol, to having an “abnormal” beard or an overly religious name. 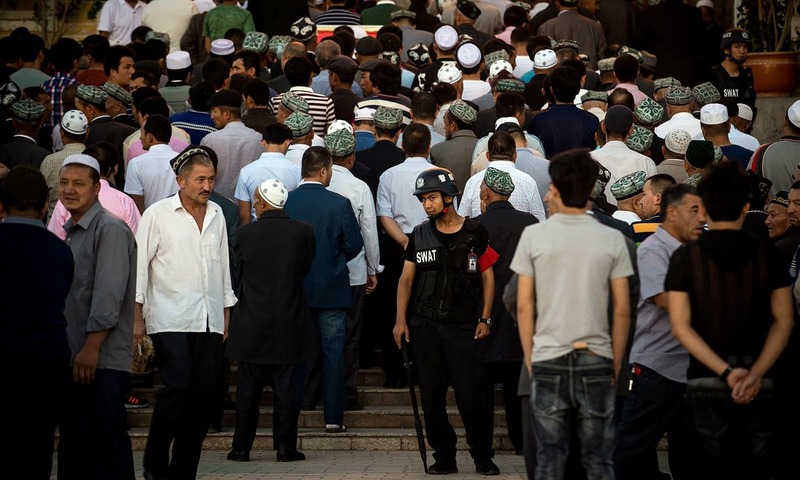 “The government is trying to destroy that last protected space in which Uighurs have been able to maintain their identity,” said Joanne Smith Finley, an ethnographer at England's Newcastle University. The Uighurs abroad said their loved ones were constantly on edge in their own homes, knowing that any misstep — a misplaced Holy Quran, a carelessly spoken word — could lead to detention or worse. In the presence of these faux relatives, their family members could not pray or wear religious garbs, and the cadres were privy to their every move. Tensions between Muslim minorities and Han Chinese have bubbled over in recent years, resulting in violent attacks pegged to Uighur separatists and a fierce government crackdown on broadly defined “extremism” that has placed as many as one million Muslims in internment camps, according to estimates by experts and a human rights group. Last December, Xinjiang authorities organised a “Becoming Family Week” which placed more than one million cadres in minority households. Government reports on the programme gushed about the warm “family reunions”, as public servants and Uighurs shared meals and even beds. Another notice showed photos of visitors helping Uighur children with their homework and cooking meals for their “families”. The caption beneath a photo of three women lying in bed, clad in pajamas, said the cadre was “sleeping with her relatives in their cozy room”. A different photo showed two women “studying the 19th Party Congress and walking together into the new era” — a nod to when Xi's name was enshrined in the party constitution alongside the likes of Deng Xiaoping and Mao Zedong. The United Front, a Communist Party agency, indicates in the notice that the programme is mandatory for cadres. Likewise, Idris and other interviewees said their families understood that they would be deemed extremists if they refused to take part. 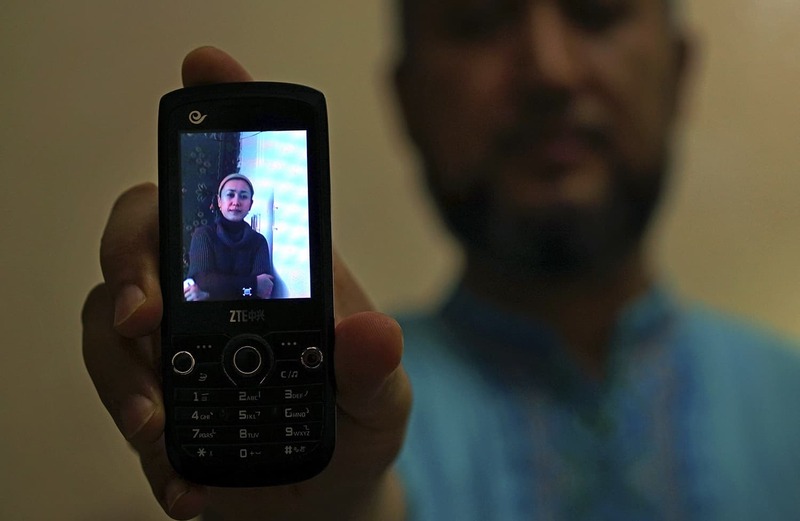 Overseas Uighurs said the “visits” to their relatives' homes often lasted longer than five days, and they were closely monitored the whole time. The cadres would ask their family members where they were going and who they were meeting whenever they wanted to leave the house. Yunus, who now lives in Istanbul, said his father used to lament to him about being visited three to four times a week by the administrator of his neighbourhood committee, a middle-aged Han Chinese man. The surprise house calls began in 2016, and it was “impossible to say no”, Yunus said. They often coincided with times traditionally designated for prayer. 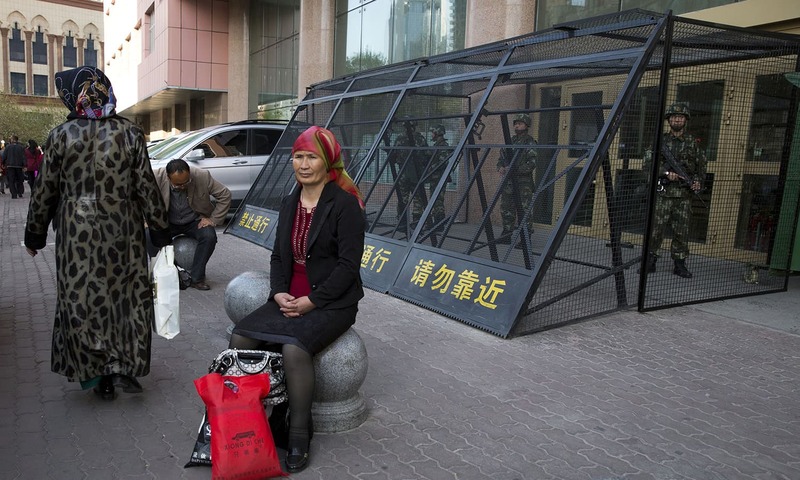 Starting in 2014, Han-Uighur spouses in one county were eligible to receive 10,000 yuan ($1,442) annually for up to five years following the registration of their marriage licence. Such marriages are highly publicised. The party committee in Luopu county celebrated the marriage of a Uighur woman and a “young lad” from Henan on an official social media account in October 2017. 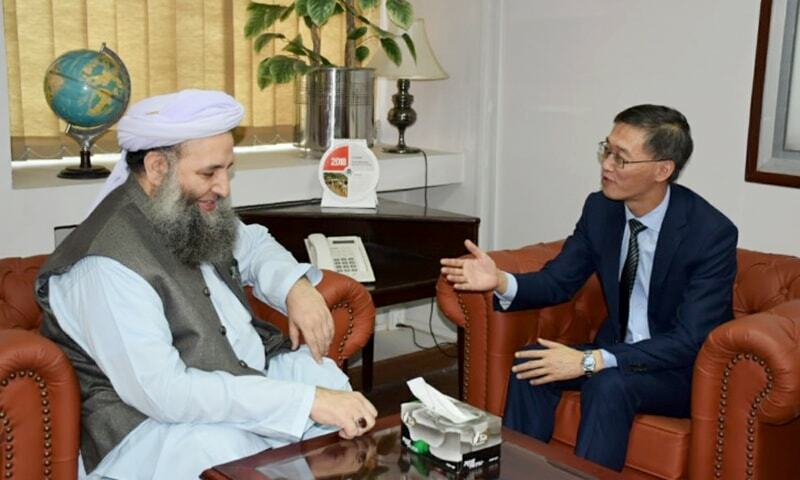 The man, Wang Linkai, had been recruited through a programme that brought university graduates to work in the southern Xinjiang city of Hotan. Not all “Become Family” pairings involve Han Chinese visitors. 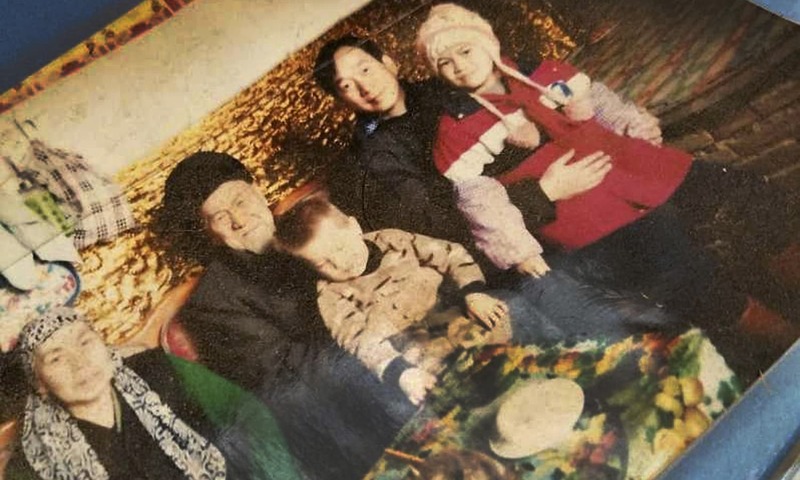 A Uighur cadre named Gu Li said she regularly pays visits to an Uighur household, staying three to five days at a time. Gu said civil servants of many ethnicities — Uighur, Han and Kazakh — participate in the programme. 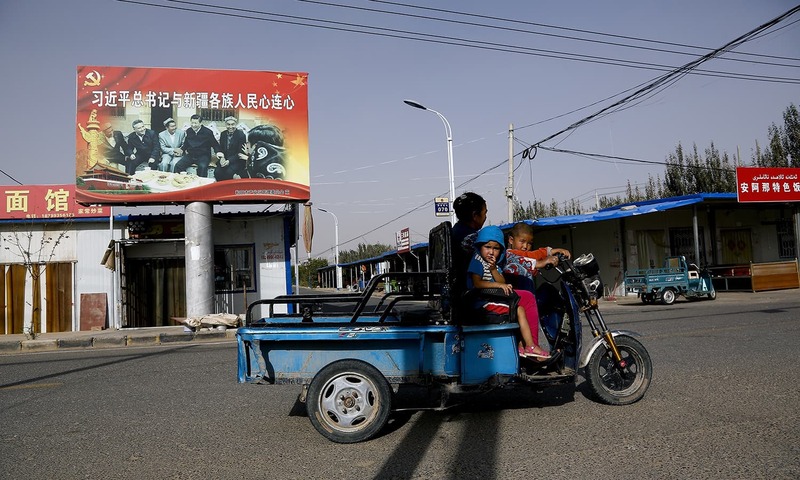 As with many of the government's other initiatives in Xinjiang, the “Pair Up and Become Family” programme is presented as a way to rescue Muslim minorities from poverty. Public servants show up at homes bearing bags of rice and gallons of cooking oil, and their duties include helping with chores and farm work. Xu Jing, an employee at Turpan city's environmental bureau, recounted her shock after entering her assigned relative's home. Xu said the only light in the residence came from a small window, and she realised that Xasiyet Hoshur wasn't lying when she said she lived on 3,000 yuan ($433) a year. “But it's OK, everything is getting better,” Xu wrote in her reflection, published on Turpan's government site. Hoshur's daughter was attending university on a 5,000 yuan ($722) national scholarship. On the one hand, China maintains that employment and living standards are key to warding off the temptations of religious extremism. On the other hand, official descriptions of the visitation and homestay programme are laden with suggestions that the ethnic minority families are uncivilised and that their way of life needs to be corrected. One notice, first highlighted by University of Washington ethnographer Darren Byler, focused on a Uighur family's use of a raised, cloth-covered platform for eating and working. In traditional Uighur culture, this setup is preferable to a table, but the testimonial published by the Xinjiang Communist Youth League said frequent use of the platform was “inconvenient” and “unhealthy”. In the People's Daily, an Uighur baker in Kashgar named Ablimit Ablipiz was quoted praising the party for improving his habits. “Ever since these cadres started living in my home, we've picked up a lot of know-how about food safety and hygiene,” Ablipiz said. Uighurs must also conform culturally. Over the Lunar New Year, an important Chinese holiday not traditionally celebrated by Uighurs, cadres encouraged households to hang lanterns and sing “red songs”, ballads honouring the party's revolutionary history. Byler said families could not ask whether the meat was halal and acceptable to Muslims when they had to make or eat dumplings for the festival. His uncle had posted the photo to his WeChat page along with the caption “Han Chinese brother”. Last summer, both of his sisters deleted him on WeChat. A few months later, his aunt deleted him, too. For more than a year, Idris has not been able to communicate with his relatives. He wonders, with growing unease, how they're getting along with their new “family”. At least there is no violence. The most brutally militarized place in the world is Occupied Kashmir. This is a horrible suppression. Now I am really afraid of rising power of China, a totalitarian regime. All Islamic countries including Pakistan should raise this concern in UN platform. Only DAWN has the courage to publish such news. All the best. Trust some country will speak for Ulighur people after seeing this. Or we all are afraid of China might. This is the face of communism. And you call India anti Muslim. @Truth Yes I am with you on this! @Indian ...perhaps china is showing india and Europe how to handle such matters ?? @Fastrack why is it different? Their goal is the same! @Indian . India and china have the same aim But are using two different tactics!! @Painkiller ... China is different it is important we all realise that. Doing business with China usually means there will only be one winner. @Fastrack Mental torture is worse than physical violence! This is an issue for OIC, Saudi Arabia and the GCC to take up with China. @Truth Two questions? 1. Should Pakistan raise concern? 2. Will Pakistan raise concern? Friendship with China should not mean we turn a blind eye towards their horrific subjugation of ethnic minority - Muslim or non Muslim. Forcing someone to change their culture or not be allowed to practice their religion is wrong on every level conceivable. And sam criticism gos for all those populations which are being subjugated and practically being imprisoned - starting from Israel and Kashmir. Let us have a detailed report on Israeli crimes next, Dawn. As OBOR proceeds through Muslim countries, China will have to become more sensitive to Muslim concerns. Yes, India is more anti-Muslim than China. Chinese government is against ALL religions; they do not single out Muslims for persecution. Right wing Indian government, on the other hand, has an intense hatred reserved for Muslims only. @Truth Will they have courage to raise their voice against China? @Fastrack . If Indians from Delhi, Bihar, Andhra and Gujarat live with every Kashmiri house, then I agree all violence in Kashmir will be wiped out. Do you agree to this arrangement ?? @Indian no we call India anti muslim when you demolish our mosques; try to build temples on it to further embarrass us; then occupy muslim lands. @Fastrack You should be happy the Indian Government is democratic, had it been the communist, you would not have a place called Kashmir. Have some common sense. @Tariq Amir Wait for few more years my friend, and see how China controls Pakistan. The politicians have already sold half the country for pittance ($60 Billions), hope common sense will prevail in the new leadership. They should move to India. Country with the fastest growing minority. Will also get free pilgrimage and many other perks. This is terrifying, an absolute horror, even the Nazi and the Zionist did not think of it. It will fail, see the example of once USSR, they also suppressed the Muslims in Chechnya and now facing the consequences. China is and was a state that has controlled all its people . The Uighur’s are not any different as the Han’s are also state controlled albeit in a different way . The state owns its people and that is not such a bad thing . In Pakistan the state disowns its people and one can argue whether having namesake freedom with no prospects or resources for the common man is better than limited freedom and far greater advancement possibilities . All models from monarchies , anarchies , communist , socialist , democratic , autocratic fail somewhere and succeed somewhere . China has shown it can rise . @Fastrack Man! you have no idea of chinese violence and shooting squads. You think the Uighurs are accepting all this oppression without the threat of violence. Communist way of suppressing opposition is ruthless be it china or russia. If one person dies in an islamic country or a secular country there is a furore but in a communist country if a million disappear it is not even in news. @Fastrack How do you know there is no violence? Did you go there? Are Uighurs allowed to protest? And mostly people hate USA where total freedom and the respect of human beings are provided lawfully. China is still far away to understand democracy and the norms of it. An act of shame for the Chinese government. It is transgressing all human laws beyond their boundaries and must be asked to stop any such activities forthwith. The right to religious freedom is the birth right of every human being and must never be checked or controlled or stopped in any way. Again, i appreciate Dawn for bringing the uighur muslims issue. This shows you care for uighur muslims as much as you care for Kashmiri muslims. @Fastrack No violence? Are you that dim? China is doing what it thinks is right for its people. Nobody should interfere in the internal affairs of China. @JA-Australia dream on,all muslims countries will have to take care of China concern,your is already looking the other way as if nothing is happening. That person should RSS volunteer!!! @JA-Australia India is the only Country in the World with large Muslim population without any sectarian violence. You should thank the large non-Muslim population for that. @Painkiller :Forced conversions are forced assimilation, No? Shocking. But Pakistanis are known to close their eyes to China's atrocities. @Truth What you think World will take you seriously??? @FASTRACKABOUT 'At least there is no violence. The most brutally militarized place in the world is Occupied Kashmir' - You must be joking. The Chinese government can be far more brutal and violent than any government in South Asia, including India. Some 45 million people died in China during the forced Great Leap Forward. 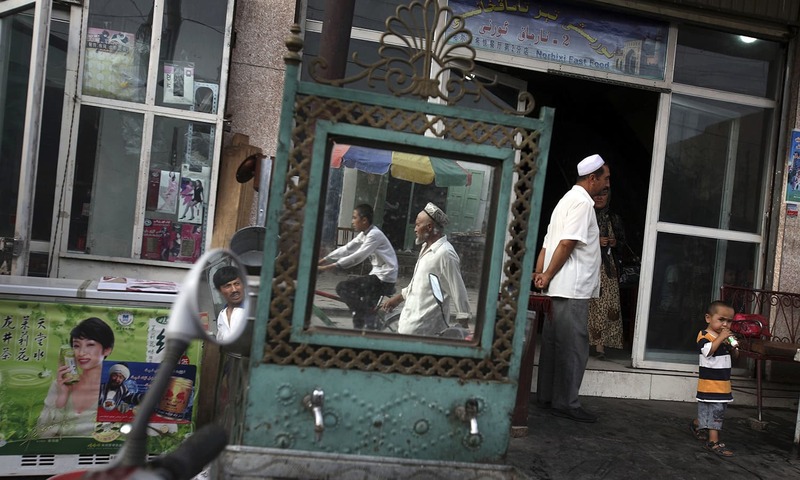 Right now, there are at least 1 million Muslims in prisons in China. I agree Kashmir is a cause that needs to be addressed. But if a state like Kashmir were under China, I can assure you they would have simply put all the Kasmiris in prison. Their government operates very differently from countries like Pakistan or India. That is also how they dragged their country from dirt poverty to being a middle-class country in a very short period of time - but it has come at a very high price with millions of its own citizens dying. We have never seen violence on that scale. "Her sister had posted the picture on a social media"
At least her sister enjoys her right and freedom to express her views on a social media. I must point out, in China not only in Xinjiang, in areas where Han people are living, cadres are also sent to rural areas and paired with poor families so as to lift them out of poverty. @JA-Australia china has very big population of Buddhist monks. Chinese respects Buddhism. So again ur knowledge of religion in china is zero. @JA-Australia Right wing Indian government, was the one who made Abdul Kalam the president of India....!!! The method used by China is unique because the problems are also unique. Trying such methods with the objective of deradicalisation of a community is better than condemning the community and treating them as extremists. Iron Brother is always right for Pakistan. Where is the concern?? Where is OIC? Man is known by his friends so are countries. Better introspect self then police the world...True Pakistani though..Way to go!!!!! Respect others before you expect respect. Religion included. Wow. What a strategy. No extermination, total assimilation. I may be wrong to say that all Chinese are robots but the Chinese I've known so far are pure machines. The Uighur land used to be inhabited by Uighur but the demographics now show that they are turning into a minority and now this will surely weaken their cultural identity. @Fastrack Are you serious? Chinese are putting our Muslim brothers in internment camps and we don't have the guts to condemn it. @Nizam Yes otherwise money will stop flowing. We can interfere only if it happens to be India. Will CPEC turn into this? @Zak yes Islamic republic of pakistan has nothing to do in this case.GREAT. @Sachin Then UN resolution will be violated as Kashmir is under UN resolution, pending plebiscite. @Rehman Kashmir is under UN resolution and India shoukd not even be present in Kashmir. If countries comply to UN resolutions, kashmir would have been resolved by now. @Jjacky wrong again. The Chinese Buddhist temple are mainly tourist spots. No religion practiced there.